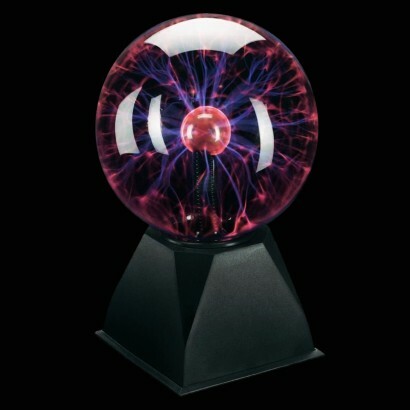 An awesome wonder that never gets old, the Plasma Ball allows you to see and manipulate electricity in it's raw format. 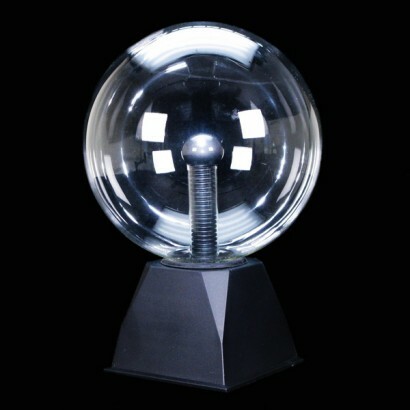 Turn on the plasma ball and light flows from the centre out to the edges of the glass ball in mesmerising waves. Touch the 8" hand blown glass sphere and the light will reach out to your fingertips and follow them as you trail your fingers around the glass! The glass remains cool to the touch in this tactile lamp that gives you a 360° view as you quite literally play with lightning! Control bolts of light with your fingertips!